SATURDAY, DECEMBER 8th • 11 a.m. to 4 p.m.
Join us at Millenia for a FREE celebration so merry, even Santa couldn’t resist! Saturday’s Festive Forecast calls for tons of snow—100 tons, to be exact—to transform your corner of Southern California into a Winter Wonderland! Meet Santa and two of his magical reindeer, enjoy sumptuous free snacks and special visits from the Ice Queen and Snow Princess, all while exploring the area’s newest, most vibrant urban hub. Best of all, it’s for a great cause—the Salvation Army’s annual Toy Drive. Donate a gift for the good of a child, and experience the immeasurable joy of giving. It’s a great way to get into the yuletide spirit! 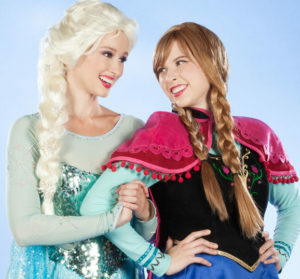 Meet the Ice Queen & Snow Princess in person! Our Stylus Park has been transformed into a frozen fantasyland, but will the Princess help the Ice Queen break her snowy spell? Enjoy a magical live performance for the whole family! Discover yuletide surprises in every community on your tour of Millenia, South County’s new urban hub! 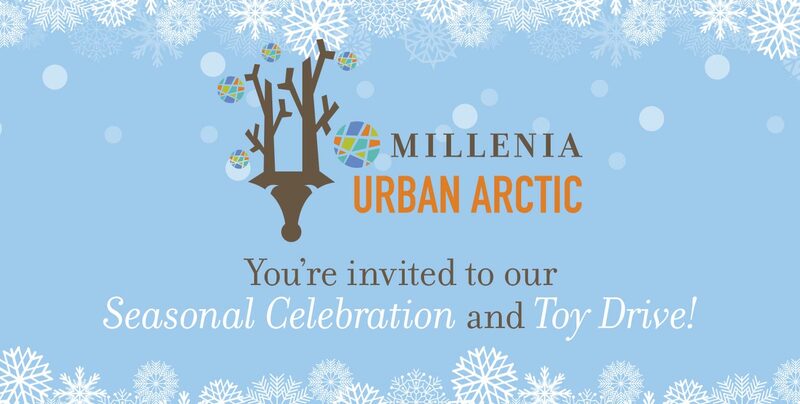 Millenia’s Urban Arctic starts at Stylus Park, right across from the Millenia Discovery Center. Just follow the signs! TOLL ROAD: I-5 or I-805 south, 54 east,125 south, exit at Birch Rd. NON TOLL ROAD: I-805 south to Olympic Pkwy, right on Eastlake Pkwy. HELP US REACH OUR GOAL OF 500 TOYS FOR SOUTH COUNTY! 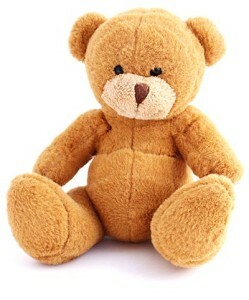 Please bring a new, unwrapped toy for a child in need.